This year marks the 100th anniversary of the Bauhaus movement, a highly influential German modern art school that closed under pressure from the Nazis. One of the school’s teachers, Herbert Bayer, came to Aspen, Colorado in 1946 and had a profound impact on the Aspen Institute. The Institute’s 40-acre campus in the Rockies is filled with Bayer artifacts. In fact, you can’t walk the campus without seeing an earthwork, Bauhaus-inspired architecture, sculptures, tapestries, and more. We guide you through the history of Bayer, Bauhaus, and the Institute. The influence of the German Bauhaus School is difficult to ignore on the Aspen Institute’s Colorado campus. 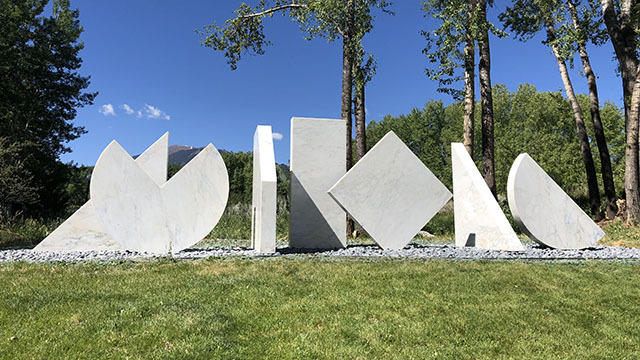 Walk the for 40-acre grounds and you’ll see sculptures, modern architecture, earthworks, and other artifacts designed by Bauhaus teacher Herbert Bayer. Along with notables like Wassily Kandinsky, Walter Gropius, and Mies van der Rohe, Bayer studied at the Bauhaus School in Dassau. The school was only operational for 14 years. It closed in 1933 under pressure from the Nazis. Walter Paepcke, Aspen Institute founder, invited Bayer to Aspen to help him with his dream of transforming the mountain town into a center for dialogue. Bayer, who arrived in Aspen in 1946, went to work designing the Institute campus. 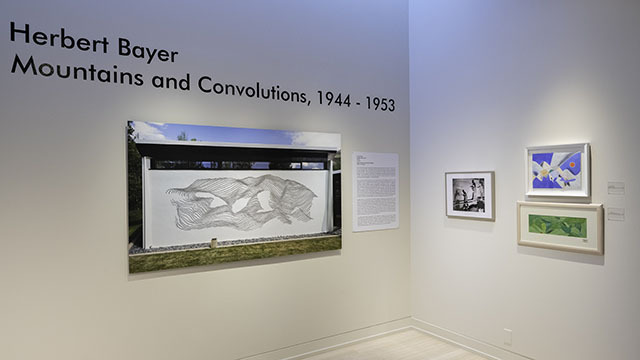 Lissa Ballinger, art curator for the Institute, says Bayer used Bauhaus concepts when he designed the simple cinder block buildings on campus. “[There’s] no decoration or ornamentation on the outside of the buildings, and a big focus on windows and bringing the outside in…One of the tenants of the Bauhaus is efficiency and practicality and so this reduction in ornamentation is very deliberate. Herbert Bayer didn’t want the buildings to overwhelm the natural environment,” Ballinger says. 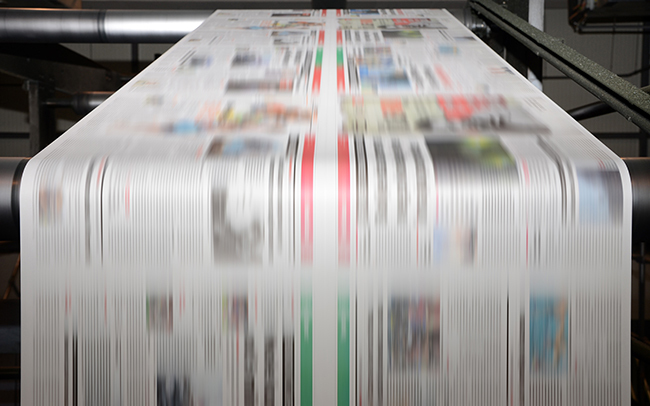 Ballinger is featured in our latest episode of Aspen Insight. 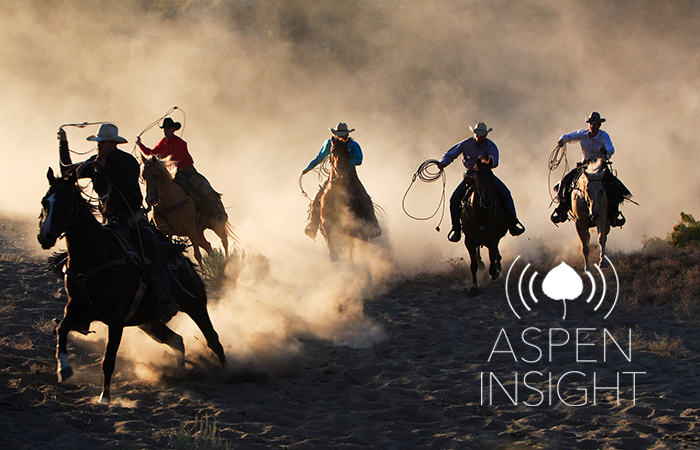 Download the episode and subscribe to the podcast by searching for “Aspen Insight” on Apple Podcasts, Spotify, RadioPublic, or Stitcher. 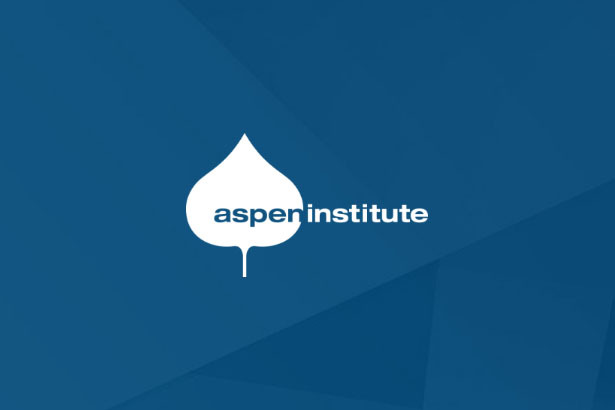 Share your thoughts and join the conversation on social media using #AspenInsight. 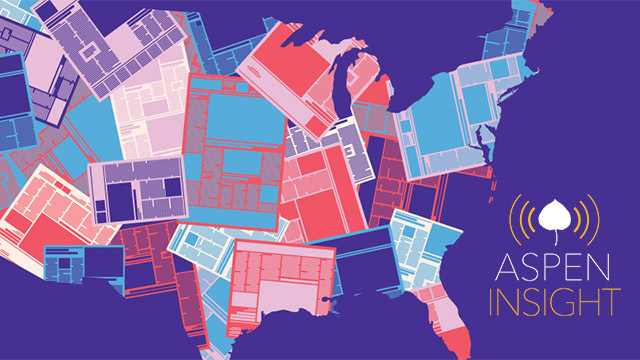 WATCH LIVE: Robert Putnam Discusses his Latest Book "Our Kids: The American Dream in Crisis"